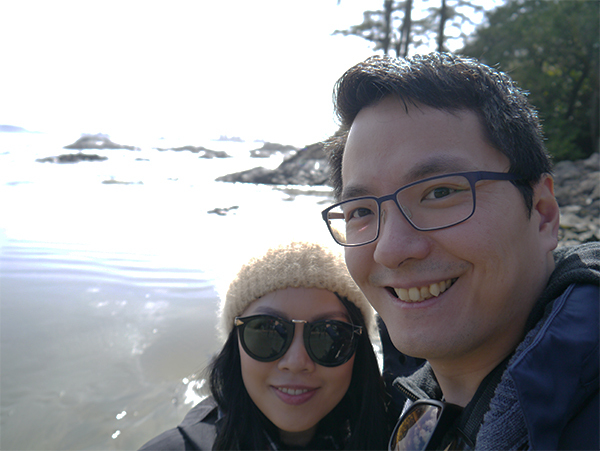 Between work and blog and the demands of everyday living, the fact that my husband and I haven't been on a proper trip since our mini-moon in Naramata kind of snuck up on us. So when Ford Canada asked us if we'd like to borrow a 2017 Ford Escape for the week, of course the answer was an unequivocal "Yes! ", immediately followed by thoughts of where we'd like to road-trip to next while we have the car. (Any excuse for a vacation, right?) 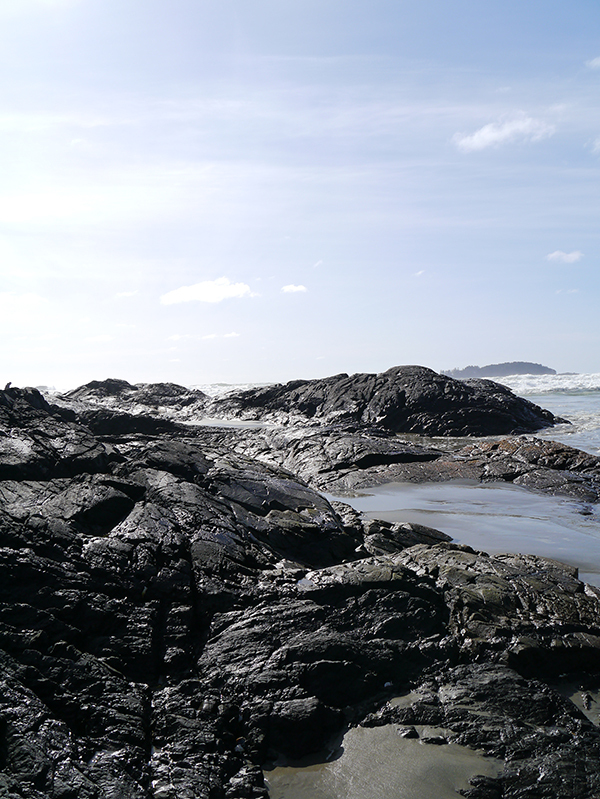 We very quickly settled on Tofino as neither of us has ever been and we've both heard how beautiful it is. 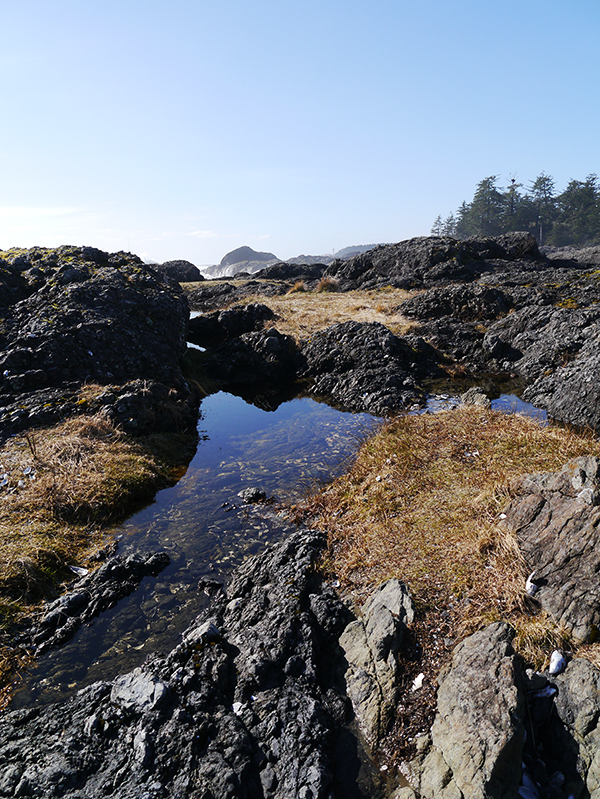 As we discovered a couple weekends ago, this seaside community located on Vancouver Island has more to offer than just surfing and stellar fish tacos. 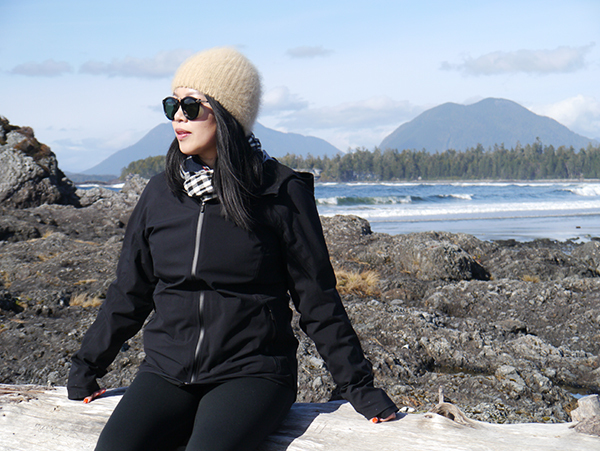 A photo-heavy look at our Tofino getaway, plus travel tips and our thoughts on the 2017 Ford Escape right after the jump! 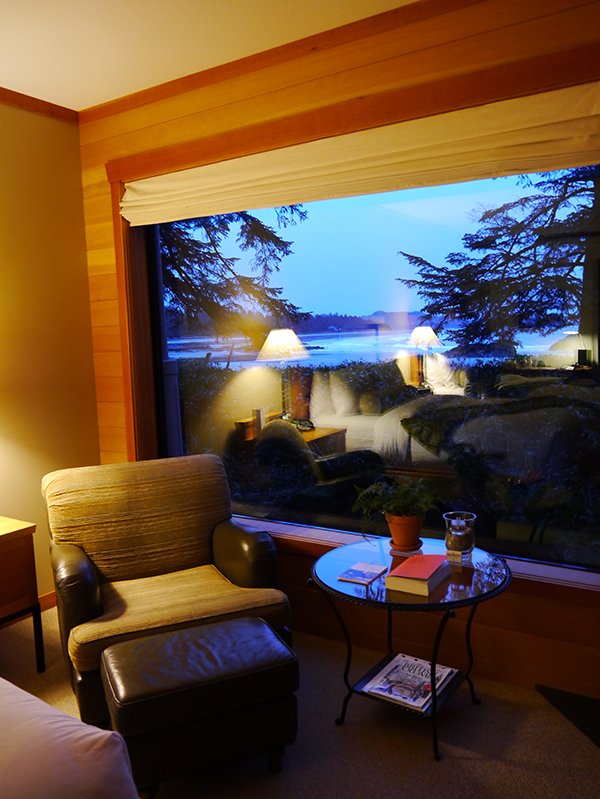 Tofino has plenty of affordable vacation rentals and bed and breakfasts, but if you have the budget I highly recommend you splurge and book a couple of nights at the Wickaninnish Inn like we did. 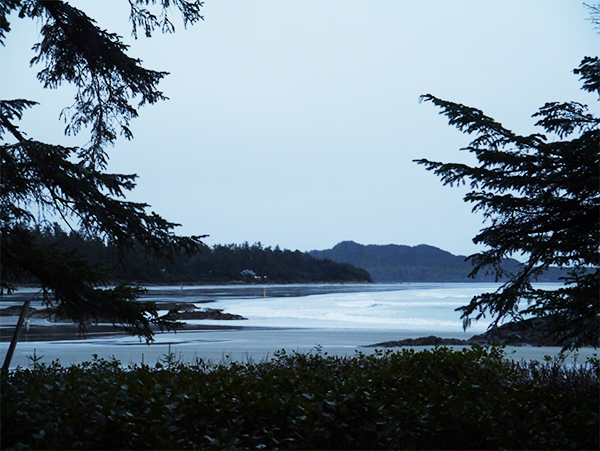 The Wick is famous for its storm-watching experiences—it's perched right at the end of Chesterman Beach and all the rooms have panoramic views of the ocean. 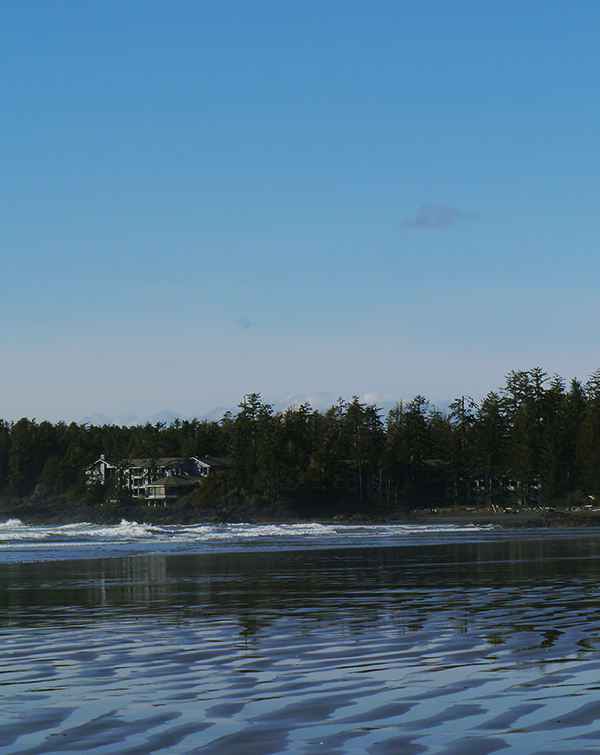 Combine that with the Ancient Cedars Spa, The Pointe Restaurant (serving brunch, lunch, and dinner with wraparound views of the ocean waves), yoga and fitness amenities, and private access to Chesterman Beach, and you have a world-class West Coast resort that's a destination in and of itself. As soon as we booked our two-night stay, someone from the Wick called us to ask if we were celebrating a special occasion (it was a "just because" trip) and brief us on driving conditions (wintry and slippery, so snow tires are a must). 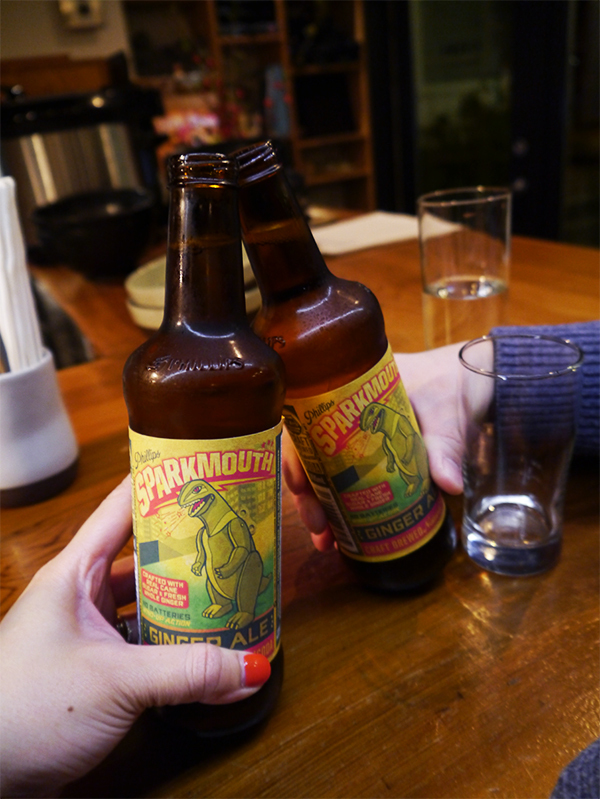 I was impressed with their level of thoughtfulness and service, which continued throughout our stay. When we arrived, someone immediately came out to open the heavy double doors and greet us and help us with our luggage. We were given a tour of our room's amenities. Every night, someone slipped a card under our door advising us of the next day's weather, sunrise and sunset times, and high and low tide times. And everywhere we went on the property, staff were warm and friendly, always greeting us with a hello and a smile. Our room was roughly the size of our condo, and even the boy—who never fusses over nice hotels and is perfectly content with the Holiday Inn—was bowled over by how nice everything was and wondering aloud if we could stay an extra night and extend our trip. We could admire the ocean and beach views from the large picture window in our room (sitting in two armchairs by the gas fireplace or lying in bed), the soaker tub big enough for two in the bathroom, or the private deck with two wooden Adirondack chairs. Every creature comfort imaginable that could make our time indoors and outdoors more pleasurable was provided for in the room: Hudson's Bay wool blankets to wrap ourselves up in; heated floors in the bathroom; rain coats and rain pants (and gum boots for loan from the front desk in case we needed them); binoculars; access to a library of board games, DVDs, and books; a Brita water filter pitcher, stainless steel water bottles, tea and coffee, a coffee maker, and an electric kettle; complimentary port for an evening nightcap (it tastes divinely smooth, with notes of vanilla and caramel). The Wick didn't just make us feel at home—everything about it conspired to make us stop and slow down and relax while we were there. 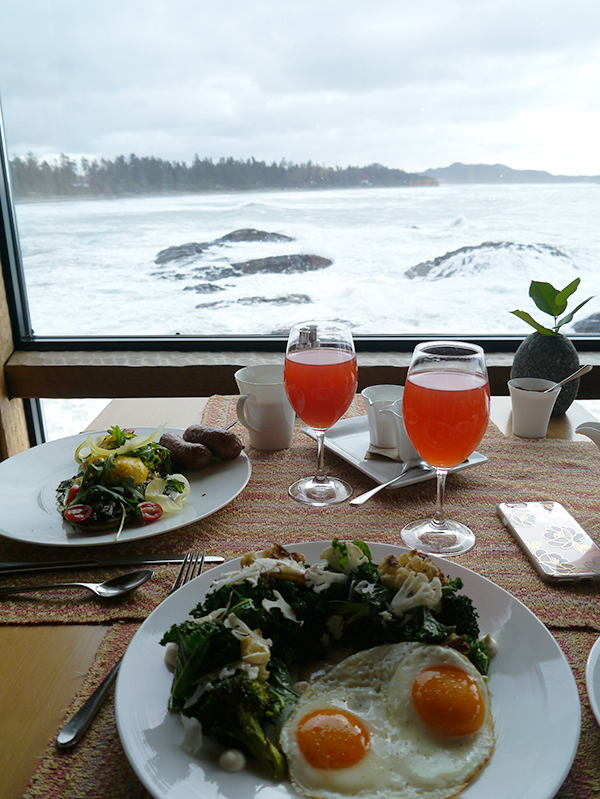 If you're a foodie, you're in luck: Tofino boasts some sublime dining experiences. Wolf in the Fog is consistently ranked one of Canada's top 100 restaurants; I found their menu a little hit-and-miss personally, but their sablefish platter for two with roasted veggies and pierogies and their sticky toffee pudding alone are worth trying to make a dinner reservation. 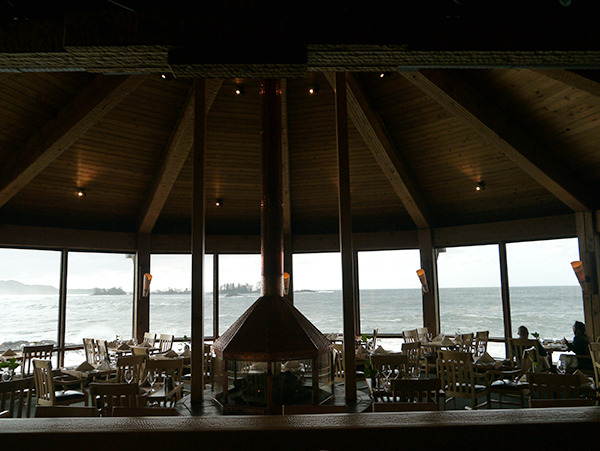 And of course, there's The Pointe Restaurant at the Wick, where we had brunch two days in a row because the boy couldn't get enough of their mushrooms on toast with truffle hollandaise sauce, and we both couldn't get enough of the mesmerizing sight of waves crashing on black rocks. 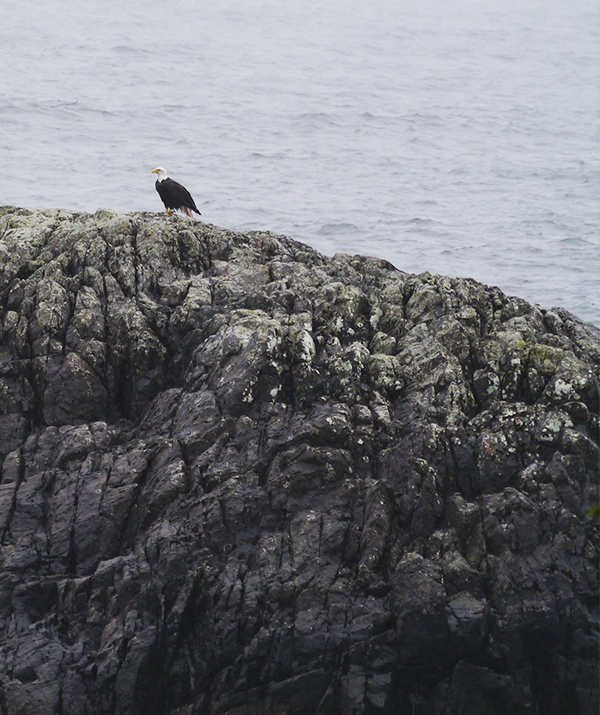 (We even spotted a bald eagle on a rock on our last day!) If your budget doesn't allow you to book a stay at the Wick, you can still enjoy the same view its guests enjoy by having a leisurely brunch at The Pointe. 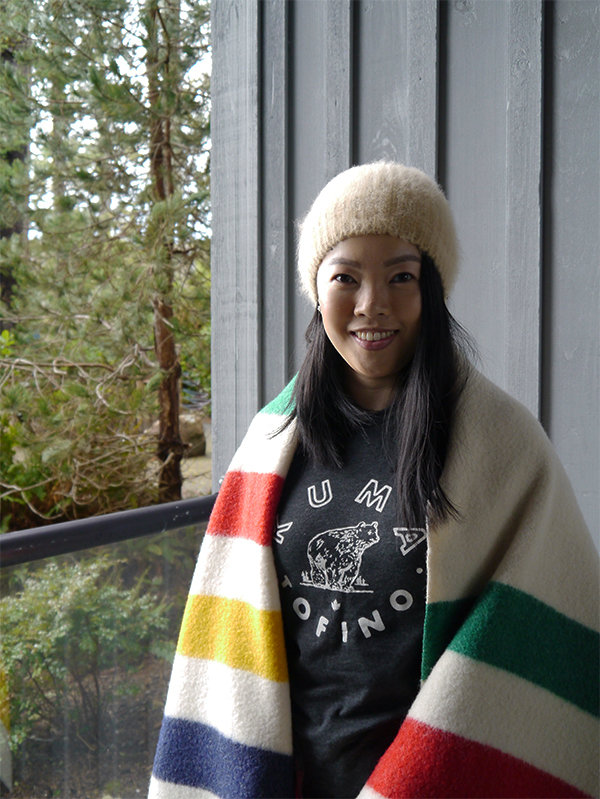 My favourite meal was at Kuma Tofino, a little eatery that applies classic Japanese techniques and flavours to seasonal, coastal-inspired ingredients. 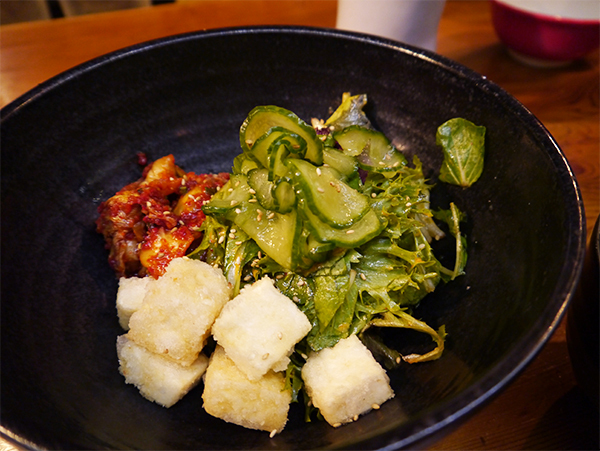 Each dish we ordered was well-balanced in and of itself and complemented the other dishes well. 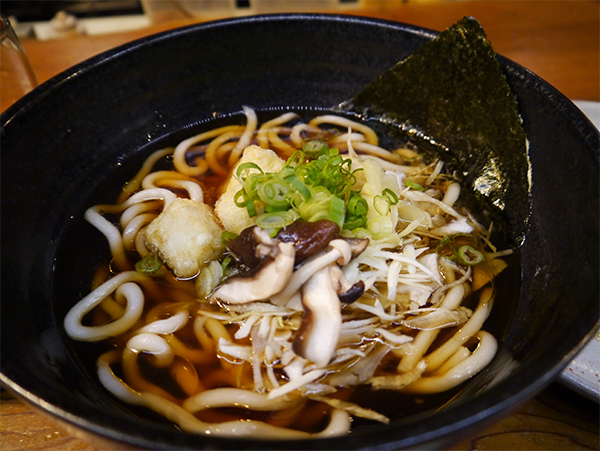 We went from a bold kimchi salad (balanced with refreshing cucumber and more substantial hunks of fresh agedashi tofu) to the delicate flavours of tuna tataki (made with jig-caught local albacore tuna), a savoury miso eggplant dish to a no less savoury but more subtle veggie udon with mushroom broth. 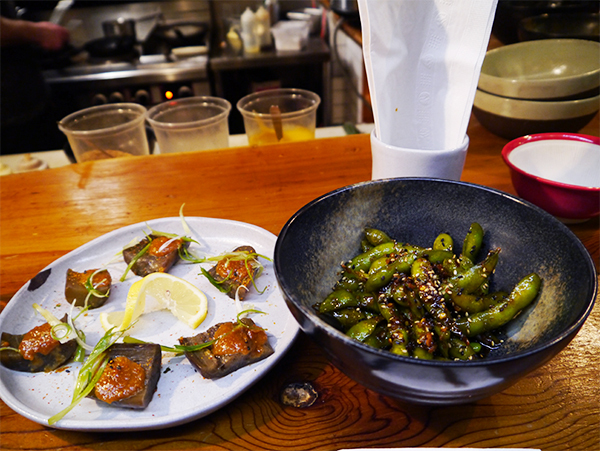 The highlight of the meal was the spicy edamame with cracked red pepper, garlic, soy, and mirin and finished off with sesame—the flavours seemed inspired by Southeast Asia and had us both wondering, "Why don't more restaurants in Vancouver prepare edamame this way?" 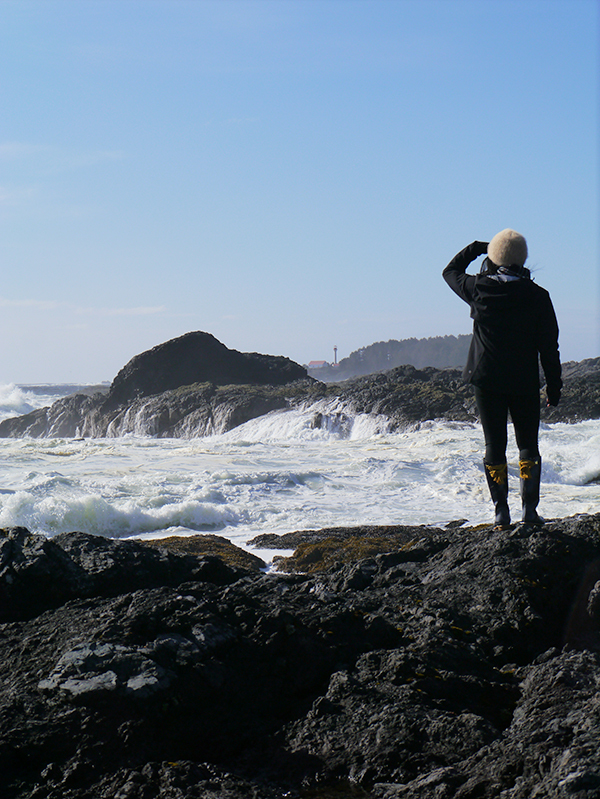 Tofino has a lot to offer the outdoorsy and the athletically inclined. 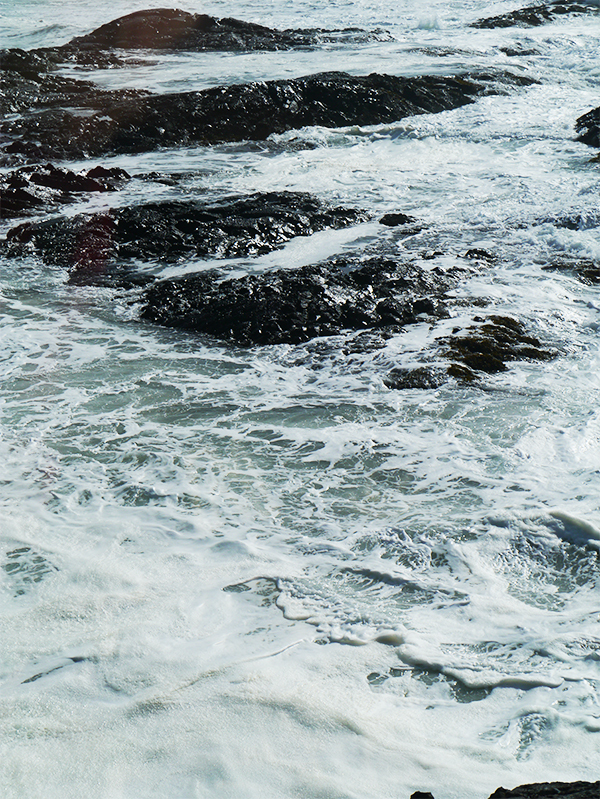 You can surf, hike, go on eagle-spotting and whale-watching tours, and explore the local beaches. We, however, became seduced by the slower pace at the Wick and slipped into full relaxation mode. 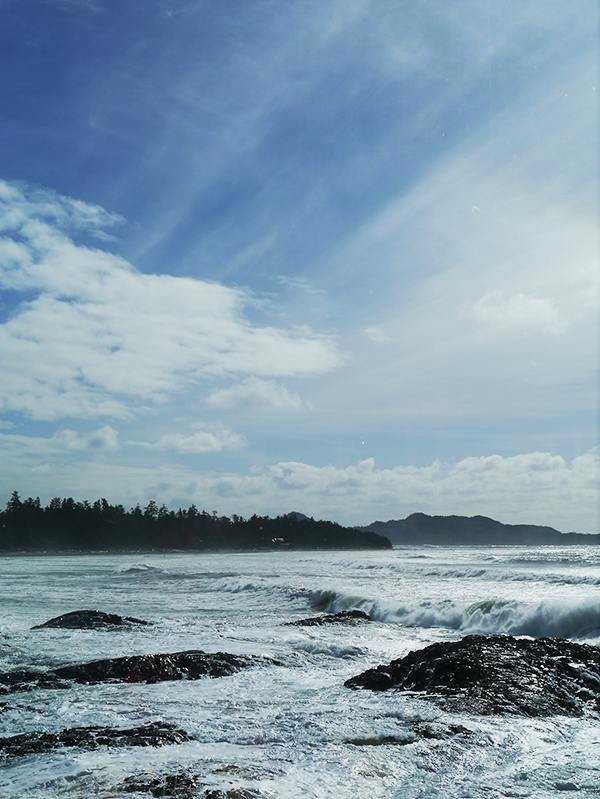 This meant that all we did, besides eating and taking naps and enjoying a long bubble bath and admiring the view from our room, was take a three-hour walk along Chesterman Beach after a late brunch. It was a perfect day. Everywhere we looked it was absolutely beautiful and I snapped so many photos. 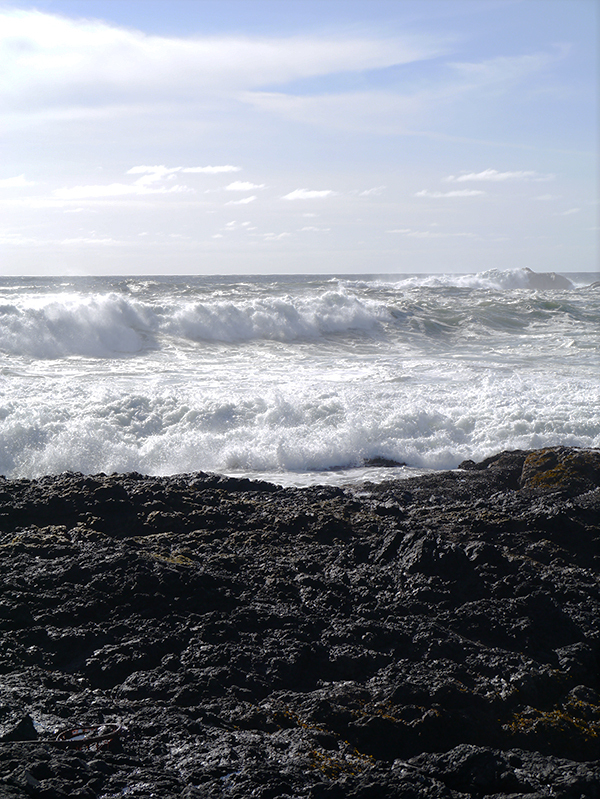 We had sun but the waves were unusually strong and created quite the spectacle as they crashed to shore, sending up white spray everywhere. 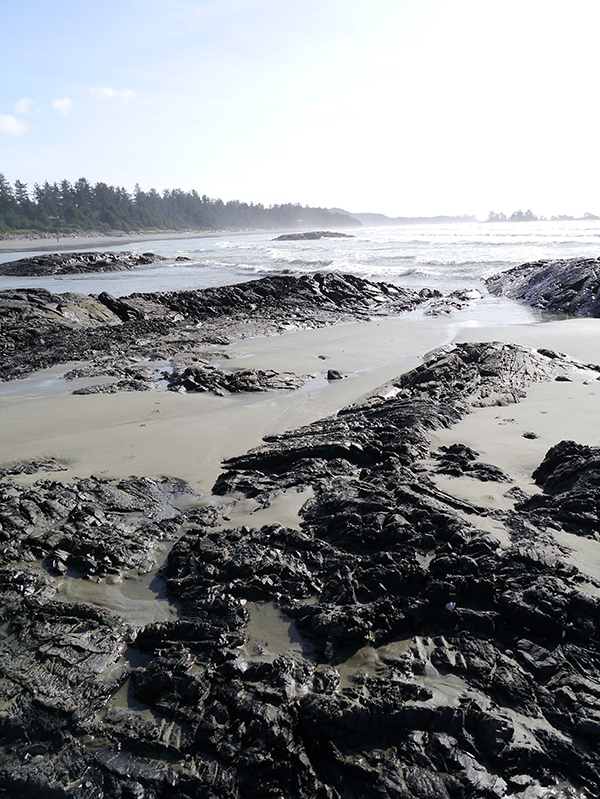 We walked the sandspit out to Frank Island and climbed the rocks for an even better view. 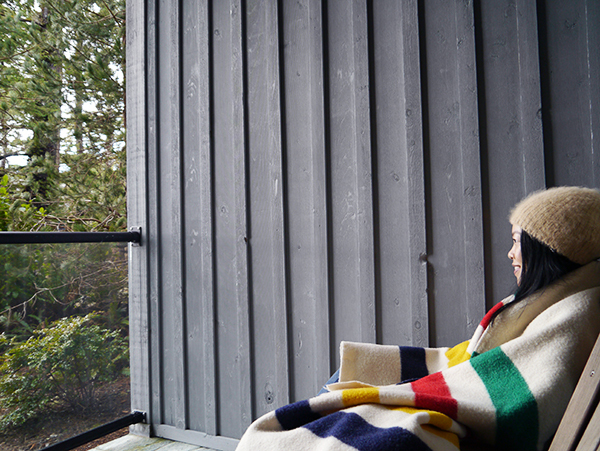 If you're wondering how to pack for a Tofino getaway, I suggest warm layers of different weights (a thick sweater, a flannel shirt, a thermal tee, and a couple of regular T-shirts), a rain jacket with a hood, a beanie, a scarf, wool socks, and gum boots. 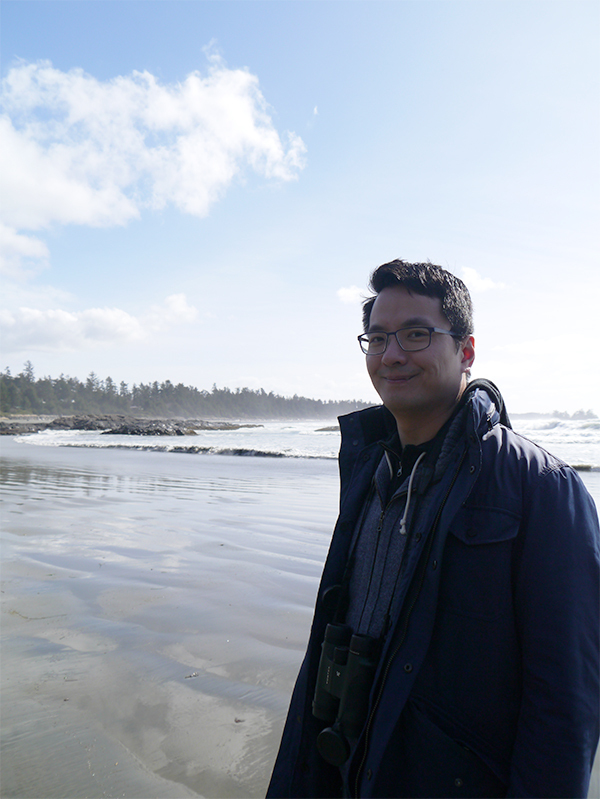 Even if it's not raining, the gum boots are awesome for walking along the beach lest you get caught by an unexpected wave or step into a deep puddle or tidal pool! 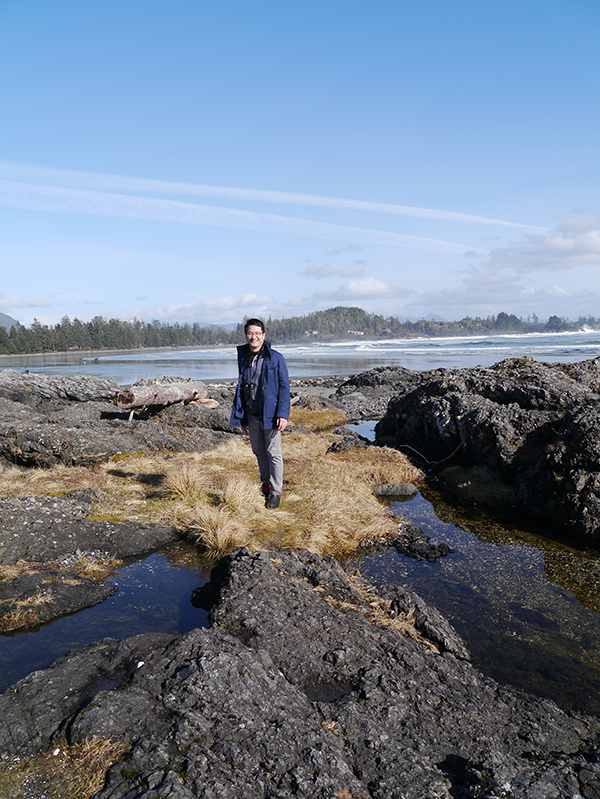 Getting to Tofino is admittedly a bit of a schlep involving a 2-hour ferry ride from Horseshoe Bay to Departure Bay in Nanaimo, followed by a 4-hour drive along the Pacific Rim Highway. I suggest booking a ferry reservation online and planning your trip there as early in the day as possible. This way, you'll have time for a pit stop at Cathedral Grove, a world-famous ancient Douglas fir forest in the midst of H. R. Macmillan Provincial Park. Sadly we didn't know about Cathedral Grove until we drove through it and didn't have enough time to stop (had to make the ferry reservation! 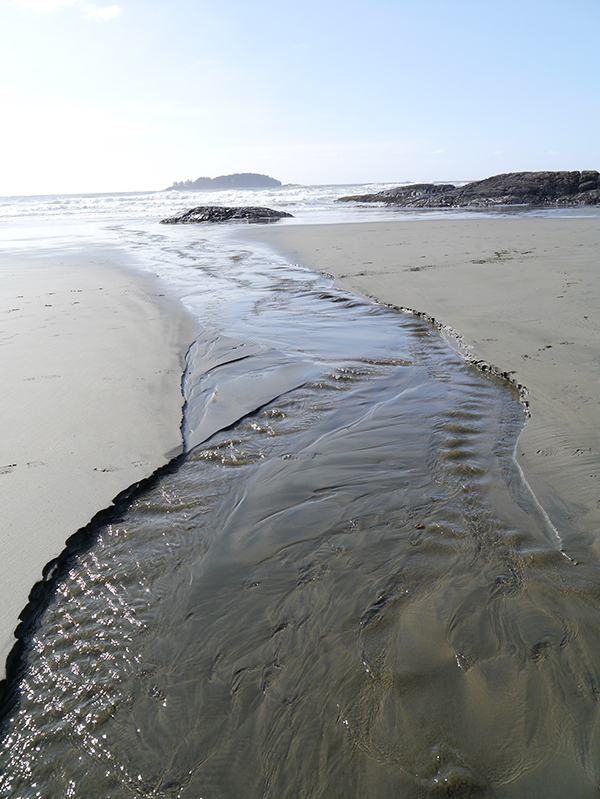 ), but we're determined to see it the next time we go to Tofino. 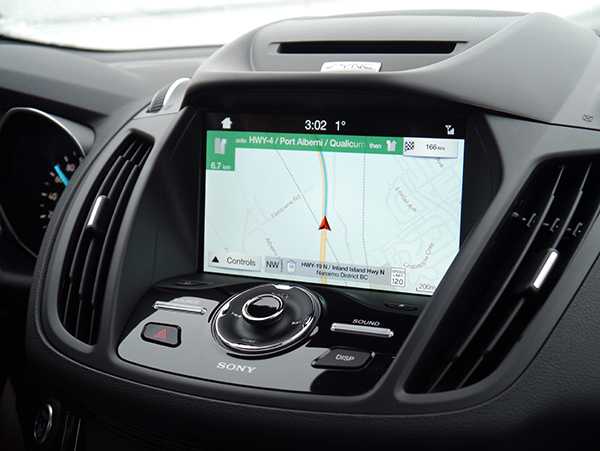 Having borrowed a 2016 Ford Escape for our Naramata trip, I already had an idea of what to expect from the 2017 Ford Escape: a roomy interior that made long road trips more comfortable and would fit all of our stuff; plenty of cup-holders and spacious compartments for water bottles, coffee cups, and snacks; GPS and access to satellite radio and Spotify; USB ports to charge our phones while on the go. 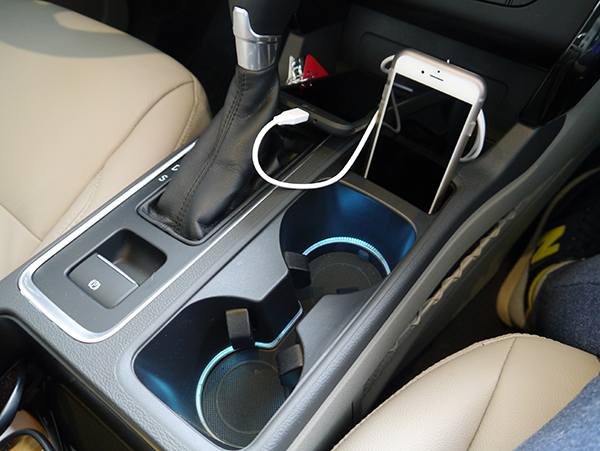 The boy (who's a bit of a car nut) pointed out that this 2017 Ford Escape was a higher model than the 2016 one we'd had and featured titanium trim, which I found out meant there was extra lighting around the USB ports and cup holders and in the passenger-side compartments—very handy for locating things in the dark. 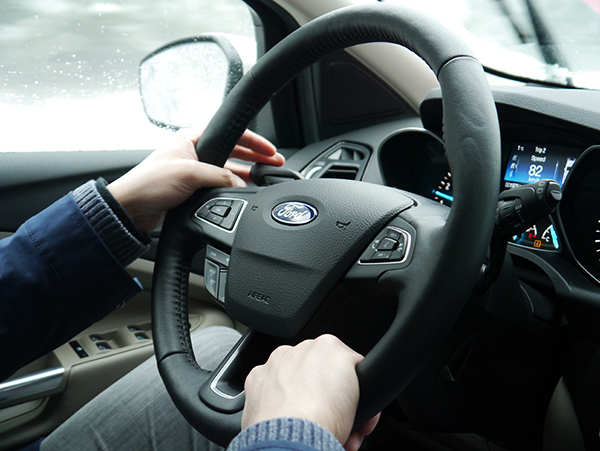 This time around, some of the car's other features really came to the fore, especially as we were driving in wintry conditions to and from the Wickanannish. 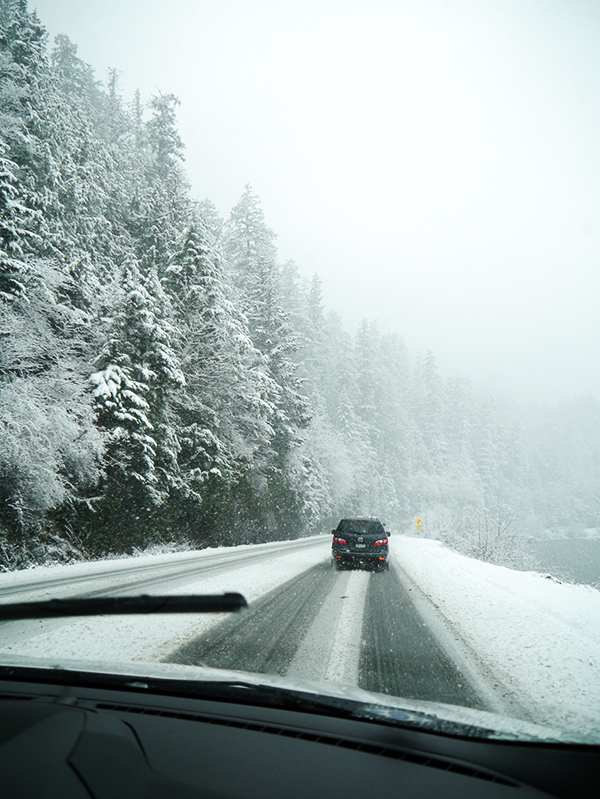 We were so thankful for the heated seats and heated steering wheel anytime we left the cozy confines of the car and climbed back in and wanted to warm up quickly. 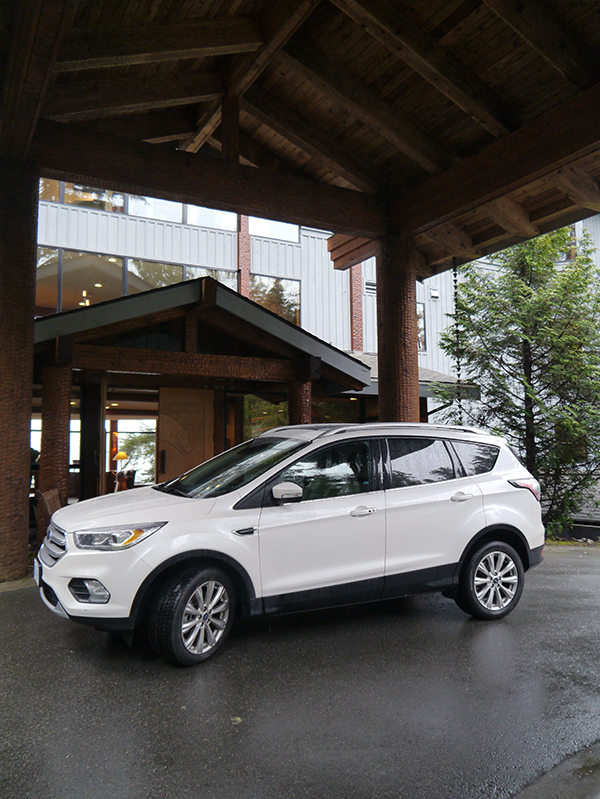 The 2L turbo engine, all-wheel drive, and snow tires gave the 2017 Ford Escape plenty of power and control on the road as we navigated the winding turns of the Pacific Rim Highway. 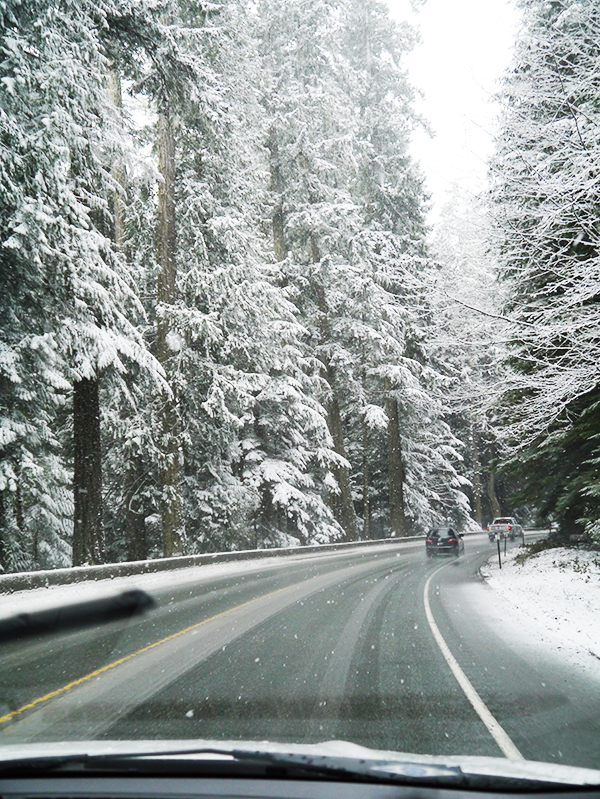 At one point, the road was so slippery with fresh snow and slush we could feel the tires sliding , but the car's superior traction control allowed it to right itself quickly as the boy steered us back on course. "Did you feel that?" he remarked as soon as the scary moment was over. "That may have saved our lives." Whew. 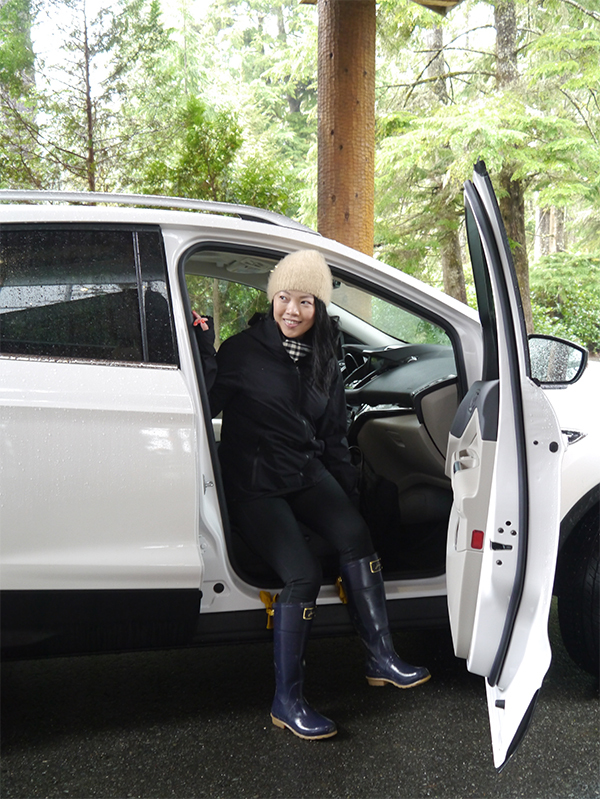 I'm grateful the Ford Escape provided us a safe and enjoyable ride to and from Tofino, and every moment in between. 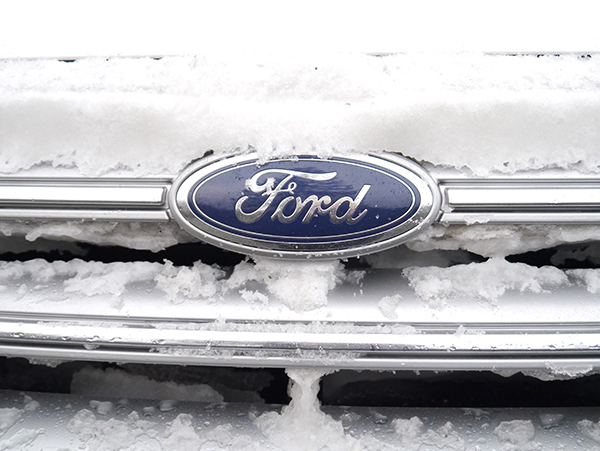 Full disclosure: Although Ford Canada generously loaned us the 2017 Ford Escape, this post wasn't sponsored and we planned and paid for the trip ourselves. All opinions are my own. Special thanks to Ford Canada for the car! This looks like such a fun getaway Lisa! Lovely photos, and what a nice car to make the journey that much more enjoyable! Thanks, Lyndi! It was so much fun. Gorgeous place, loved the views! Agreed! We'd love to go back.